Death of the Liberal Class is a non-fiction book by American author and journalist Chris Hedges published in October 2010 by Nation Books. It falls into the literary genre of the jeremiad, which has a long tradition in the United States. According to Hedges, it is a book that chronicles the destruction of populist and radical movements within society, particularly in the United States. The Afro comb has been used by people in Africa and the continent’s diaspora for centuries. An exhibition at the University of Cambridge’s Fitzwilliam Museum looks at the Afro comb’s impact as both a hair care tool and cultural symbol over the last 6,000 years. 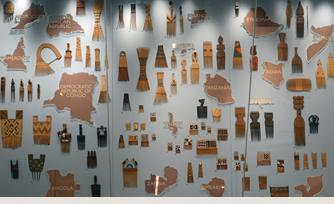 It takes visitors on a journey that looks at ancient Egypt, the US civil rights movement and communities across Africa and the Caribbean. Take a brief tour with exhibition curator Sally-Ann Ashton. This week, once again, Guyana has found itself in the throes of mourning: mourning not only lost lives but the death of justice and liberty.